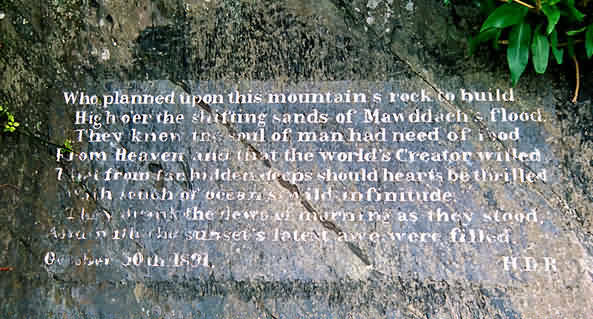 Mawddach Poem (1891) by Canon Rawnsley, engraved in rock below Dinas Oleu. With touch of ocean's wild infinitude. And with the sunset's latest awe were filled. October 30th 1891 - - - - - - - - - - - - - - H.D.R.